Dr. Bruce Stillman is President of Cold Spring Harbor Laboratory. A native of Australia, he obtained a Bachelor of Science degree with honors at The University of Sydney and a Ph.D. from the John Curtin School of Medical Research at the Australian National University. He then moved to Cold Spring Harbor Laboratory as a Postdoctoral Fellow in 1979 and has been at the Laboratory ever since, being promoted to the scientific staff in 1981. Dr. Stillman has been Director of the Cancer Center at Cold Spring Harbor since 1992, a position he still holds. In 1994, he succeeded Nobel Laureate Dr. James D. Watson as Director of Cold Spring Harbor Laboratory and was appointed President in 2003. For his research accomplishments, Dr. Stillman has received a number of honors including election as a Fellow of The Royal Society, to the US National Academy of Sciences, and to the American Academy of Arts and Sciences. 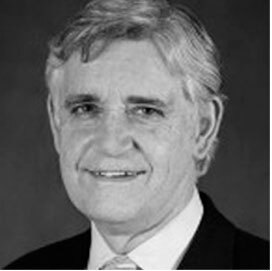 In 1994, Dr. Stillman was awarded the Julian Wells Medal (Australia) and in 1999 he was appointed an Officer of the Order of Australia (AO) for service to scientific research in the field of molecular biology. In 2004, Dr. Stillman and Dr. Thomas Kelly of Memorial Sloan-Kettering Cancer Center were awarded the Alfred P. Sloan Prize by the General Motors Cancer Research Foundation. In 2006 Dr. Stillman received the Basic Science award from the Society of Surgical Oncology. In 2010, Drs. Stillman and Kelly received the Louisa Gross Horwitz Prize from Columbia University. Dr. Stillman has received five honorary doctorates. Dr. Stillman is a member of the Medical Advisory Board of the Howard Hughes Medical Institute and advises a number of other research organizations, including the M.I.T. Cancer Center, the Lewis-Sigler Institute of Princeton University and the Walter and Eliza Hall Institute of Medical Research in Melbourne, Australia. He was chair of the Board of Scientific Counselors of the National Cancer Institute and former vice-chair of the National Cancer Policy Board. He currently serves on the Board of Scientific Advisors of the National Cancer Institute and as a member of the Board of Life Sciences of the US National Research Council.